Marije Baalman will be presenting Chrysalis at EMuteLab. A cocoon lies on stage, barely recognizable in the dim light. Slow tones are sounding in the space. The light seems to change color – the tones are changing slowly in pitch. 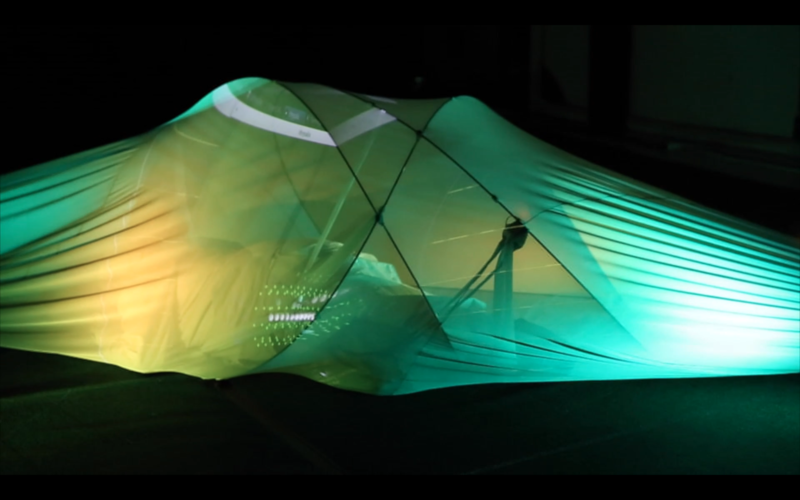 The cocoon seems to move – the light seems to get brighter and gradually shift color. Suddenly a fast movement – a shrieking sound fills the space – then again everything quiets down – the movement, the sound, the light.